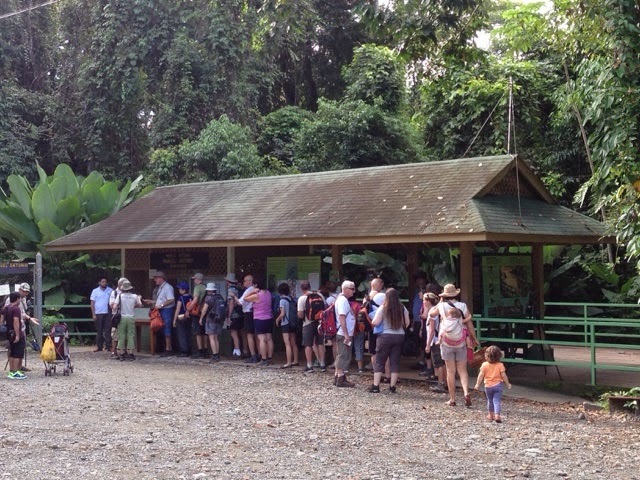 Here's the morning line at 8:00 am into Manuel Antonio Park in Quepos, Costa Rica. Good thing we got up early so we can miss the heat of the day! 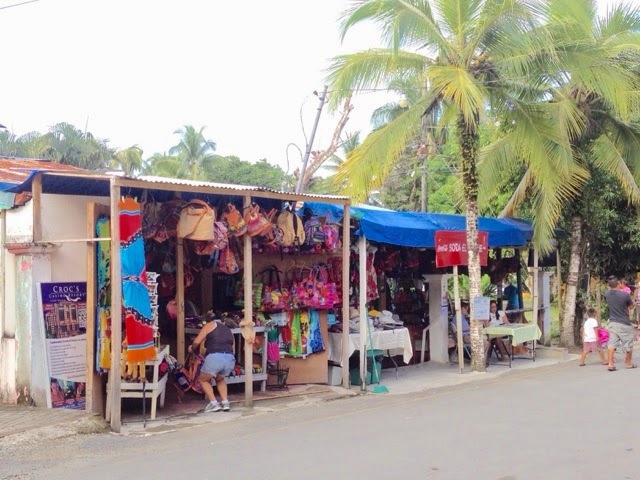 A little roadside shop in case you need a nugget to commemorate your jungle adventure. 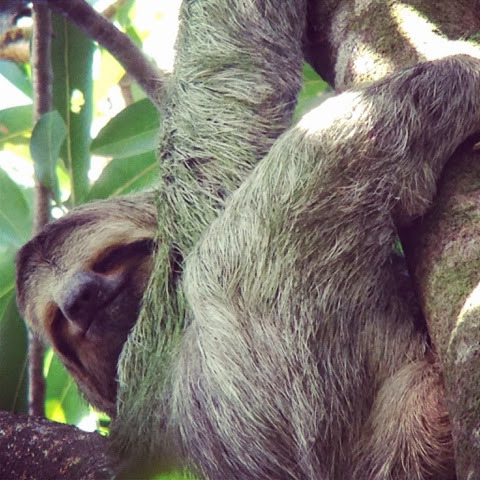 A three toed sloth we spotted. What a sight! We thought it was a koala. You can judge the difference between this breed and the two toed sloth by how many toes they have on their front paws. There is also a small facial difference as you can see below! 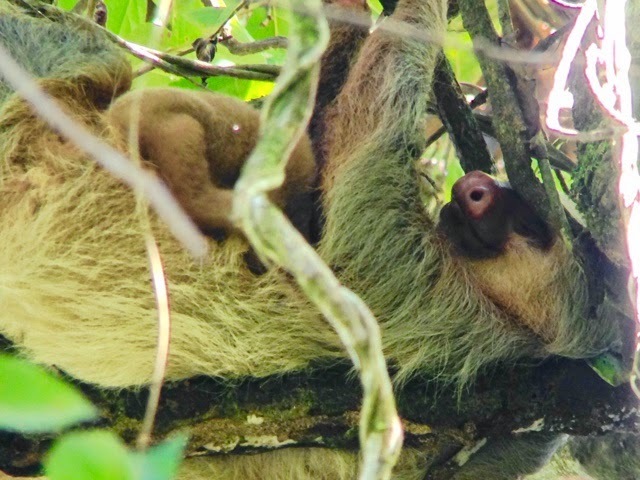 A two toed sloth with her new little baby on her belly...Nap time! We had a fantastic guide today named Karen who had been a naturalist in the park for the last ten years. She could spot an insect in the jungle with her eagle eye! The photo below shows Brad practicing his yodeling in the jungle. 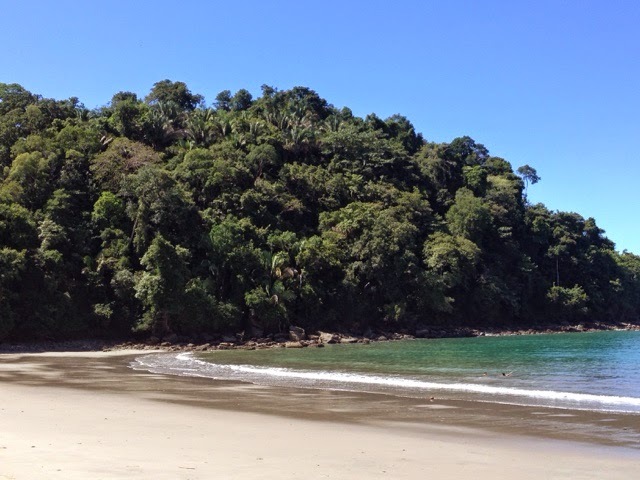 The highlight of our trek were the white faced monkeys...I could watch them for hours! Thank goodness for our guide who had us heading in the right direction. 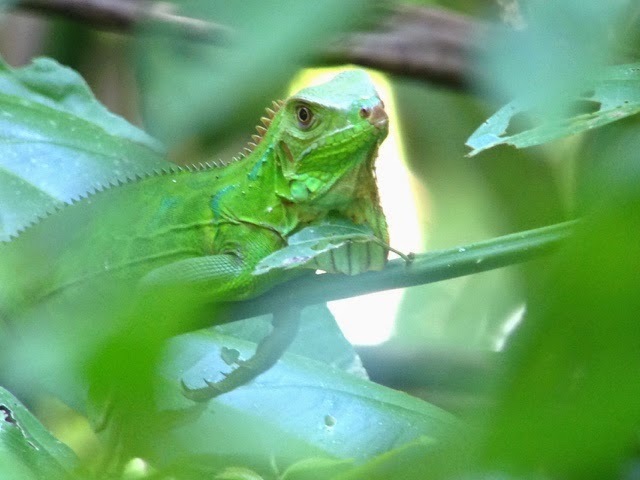 Can't believe our guide spotted this green iguana hiding amongst the trees. He just blends in. 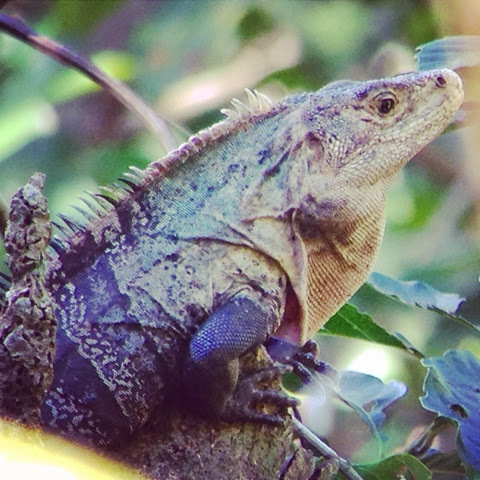 This is a mean one...the black iguana can be nasty and run after you for a bite of your flesh! 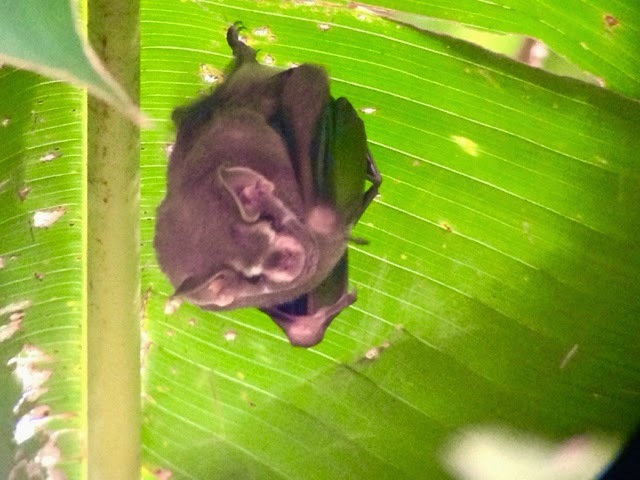 A little bat finding shelter inside of a banana leaf. I have no clue how they adhere themselves to the flat side of a leaf. The bats here are so necessary to the ecosystem as they chow down on all of the mosquitos. These leaf cutting ants we came across were so mesmerizing. Amazing little critters...such a work ethic! 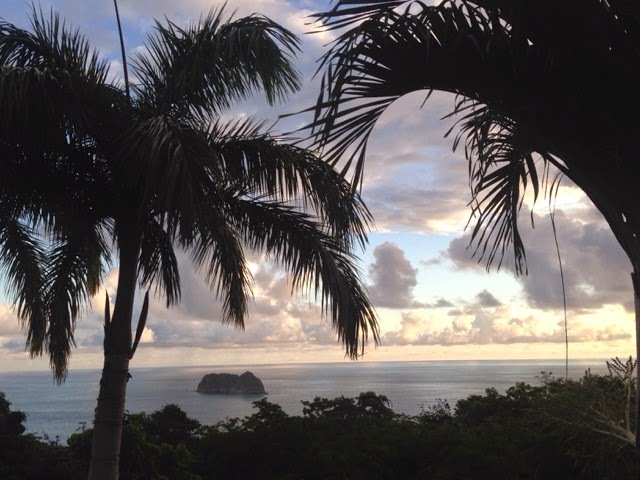 Click on center of photo to play video. 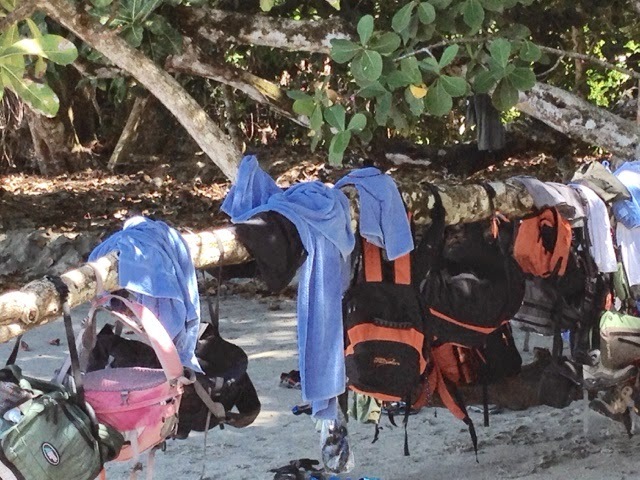 All of the tourists backpacks and beach towels...this must mean a good time! 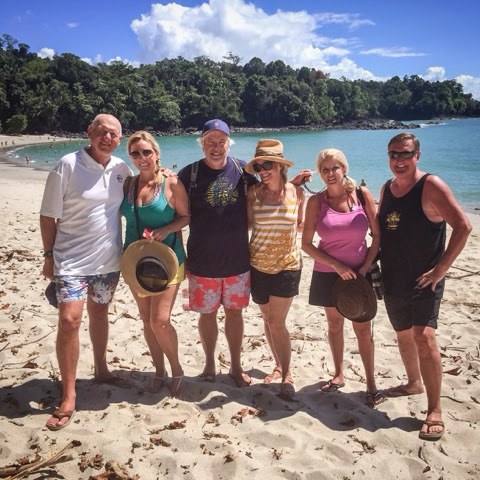 The gang at la playa...jungle adjacent. 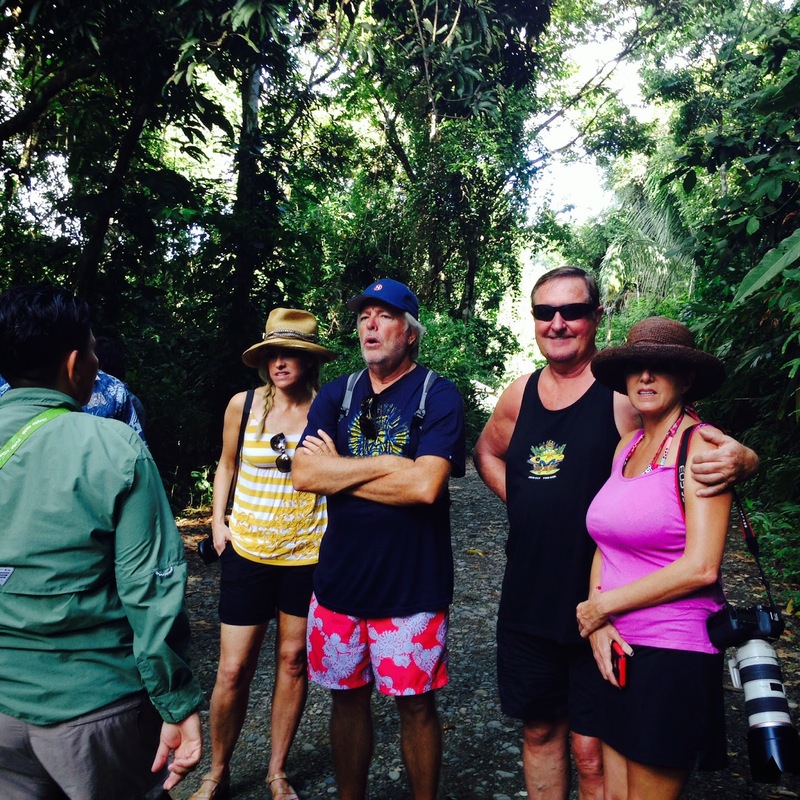 Once we walked out of the jungle I was thirsty as could be. The humidity was as thick as anything! 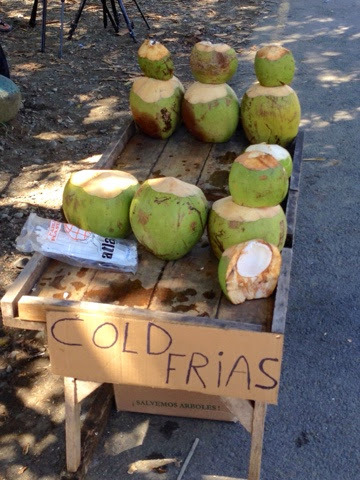 But this fresh picked & chilled coconut water was the best thing ever! I bought one as we were leaving from a street vendor, he popped a straw into the top and it was beyond tasty. 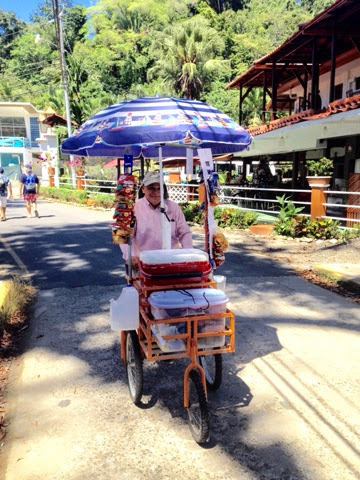 I passed the happiest street vendor who was kind enough to let me snap this pic..
And then we headed to the promised land...a boutique resort overlooking the sea. 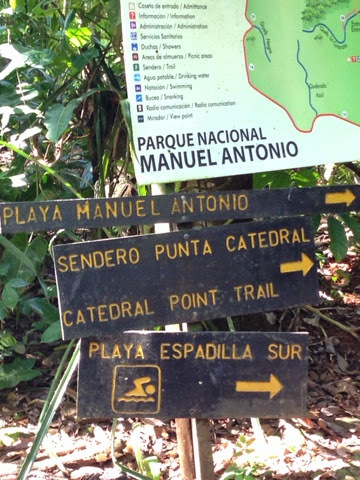 We had a fantastic lunch there and swam all afternoon. Then us girlies headed to the spa for an afternoon massage...all of our daily activities had been taxing. ha-ha! This curly jungle hair was ready for a swim..